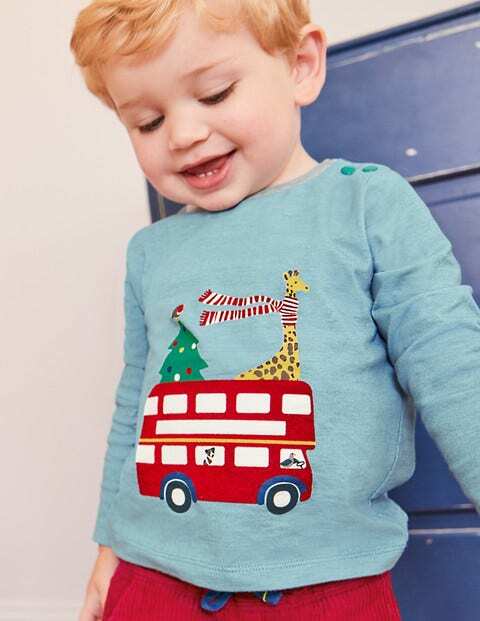 You're never too young to join in the festive dressing fun, as this adorable long-sleeved cotton T-shirt proves. With animal friends along for the ride and flocked detailing for extra texture, it's all aboard the bus with one destination: celebration. Shoulder poppers make it easy to get ready for important things, like unwrapping presents.